The Ireland India Institute is hosting its first Postgraduate Conference on South Asia in Dublin City University, 26 May 2017. The conference is hosted in collaboration with the British Association for South Asian Studies (BASAS). ‘nation state’. In the context of South Asia, what are the contradictions for a modernising society that result from the re-emergence of nationalism? What are the emerging political trends that are being shaped by nationalisms? What are the implications of current nation building projects in the region and what is the ongoing implication of past nation building projects? The meta narratives of the state and the nation in South Asia has, at various stages of history, been contested by a range of social movements. Social movements have not only challenged the dominant discourse of the nation- state but also offered alternative ways of imagining how history, society and politics are structured. This theme will explore the emergence of the diverse social movements in South Asia. It will address the significance of the different junctures of history in which they developed and examine the challenge they presented to the meta narratives of South Asia. It will focus particularly on those movements that developed to provide a voice for subaltern groups. the past century and that has shaped the framing of identities in the region. It asks to what extent has the acceptance of negotiated identities, in the extremely diverse societies of South Asia, been a result of the influence of liberal democratic principles on the institutions of States. What are the tensions that exist on issues of race, religion, gender and other cultural identities? What is the impact of the homogenising (or polarising) tendencies of the state versus the right of minority identities to self-determination? In a region as diverse as South Asia, research on intersectionality has the capacity to analyse the role played by multiple socio-political agents in shaping reality. This theme, discusses the role of intersectionality as a methodological tool and also its particular relevance for research on South Asia. Of particular interest is the use of intersectionality in research on caste and gender relations in contemporary society. Papers can be from either a methodological or theoretical perspective or present an empirical case study of intersectional research. In the wake of the proliferation of smart phones and high speed internet the capacity of the individual to communicate information to an almost unlimited audience has been hailed as ‘democratization of communication’. This ‘democratization of communication’ presents a paradox as although the communication revolution has created space for previously unheard, subaltern voices and perspectives it has also enabled the rapid spread of misinformation and the manipulation of information by elite groups. This theme asks what has been the South Asian experiences of this paradox? How is new media shaping social interactions and the day to day experience of politics in South Asian? 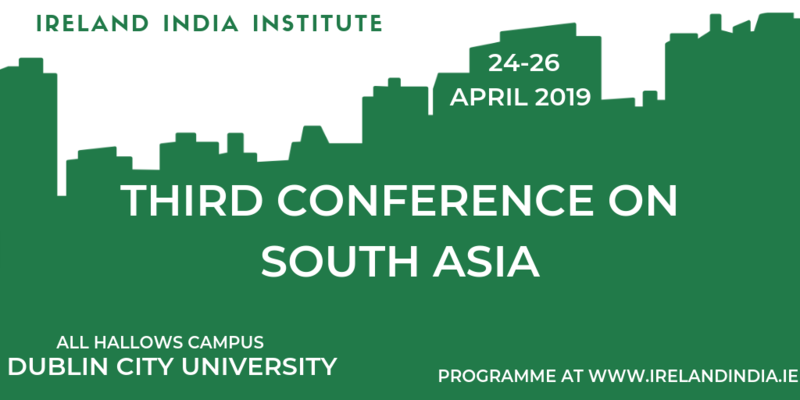 This theme addresses the dynamic development of South Asian states as international actors in the context of a shifting and increasingly uncertain international environment. Papers are welcomed that address issues of the security strategies of South Asian States, incorporates the concept of human security and responses to environmental issues including climate change as well as more traditional security concerns. Papers can also address the economic and social challenges facing South Asian states including the eradication of poverty and the achievement of balanced economic development. If you need any further information, please get in touch with Arpita Chakraborty (arpita.chakraborty3@mail.dcu.ie) or Hari Krishnan (harikrishnan.sasikumar2@mail.dcu.ie). The organisers hope to be able to offer a number of bursaries to support the participation of PhD students from South Asia. In order to apply for travel bursary, please attach a 250-word document of bursary justification with your proposal. Dr Faisal Devji is the University Reader in Modern South Asian History Director at St Antony's College Asian Studies Centre, University of Oxford. He has held faculty positions at the New School in New York, Yale University and the University of Chicago, from where he also received his PhD in Intellectual History. Devji was Junior Fellow at the Society of Fellows, Harvard University, and Head of Graduate Studies at the Institute of Ismaili Studies in London, from where he directed post-graduate courses in the Near East and Central Asia. He is a Fellow at New York University’s Institute of Public Knowledge and Yves Otramane Chair at the Graduate Institute in Geneva. He is interested in Indian political thought as well as that of modern Islam. Devji’s broader concerns have to do with ethics and violence in a globalized world. Meena Kandasamy is a poet, writer, activist and translator. Her work maintains a focus on caste annihilation, linguistic identity and feminism. She has published two collections of poetry, Touch (2006) and Ms Militancy (2010). Her first novel, The Gypsy Goddess was published by Atlantic Books (UK) and Harper Collins India in 2014. She was a British Council - Charles Wallace India Trust Fellow at the University of Kent and a Visiting Fellow at Newcastle University in 2011. In 2009, she was a writer-in-residence at the University of Iowa’s International Writing Program (IWP). 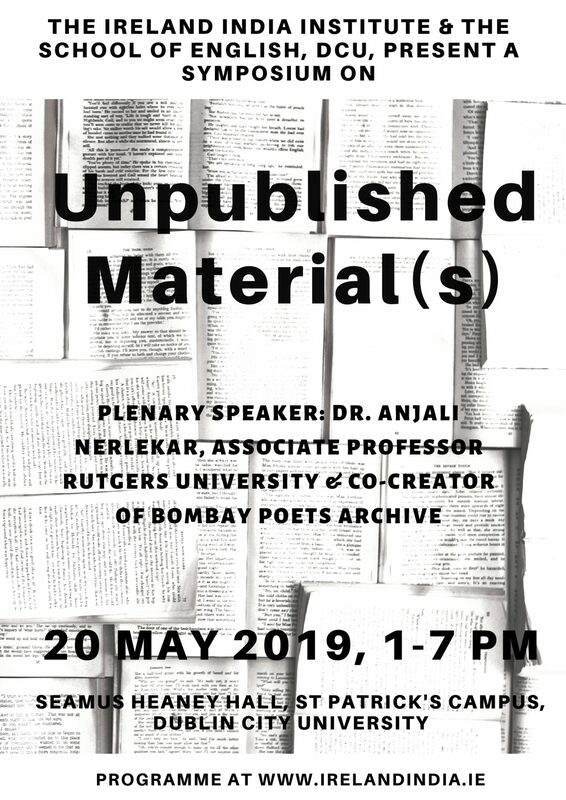 She has held writing residencies at the Hong Kong Baptist University, Jawaharlal Nehru University (New Delhi) and the University of Hyderabad. She has co-authored (with M Nisar) a biography of Kerala’s foremost Dalit revolutionary Ayyankali, and previously, she edited ‘The Dalit’, a bi-monthly English magazine. She holds a PhD in socio-linguistics from Anna University Chennai, and dabbles in political & literary translation.